There are many insurance companies online that can provide insurance for both US and foreign owned vehicles. *note it is recommended that you have a minimum of $300,000 of third part liability. 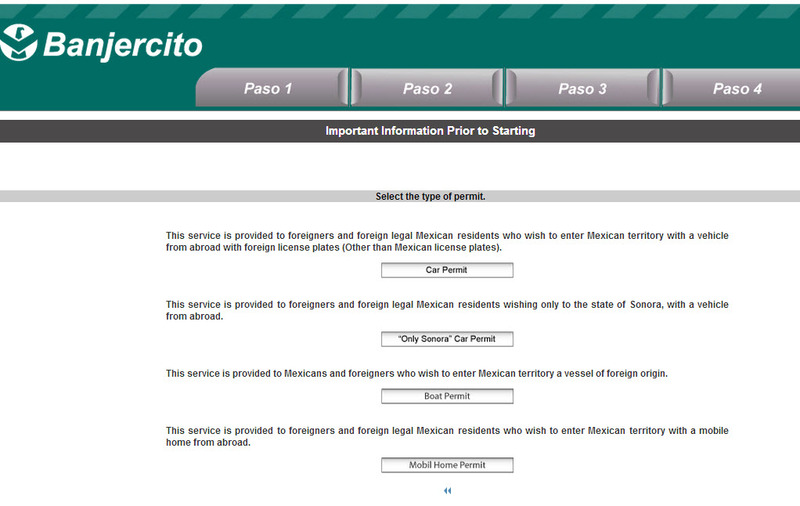 If you are traveling to Mexico as a tourist, you must obtain an FMT tourist permit. The FMT allows you to visit or make multiple trips to Mexico for a maximum period of six months (180 days). The Mexican Immigration official issuing the FMT has sole discretion in determining your length of stay and may ask you the expected duration of your trip. As a tourist, you are not authorized to conduct any type of business activity in Mexico. The tourist card costs roughly $25 and can be purchased at the border. 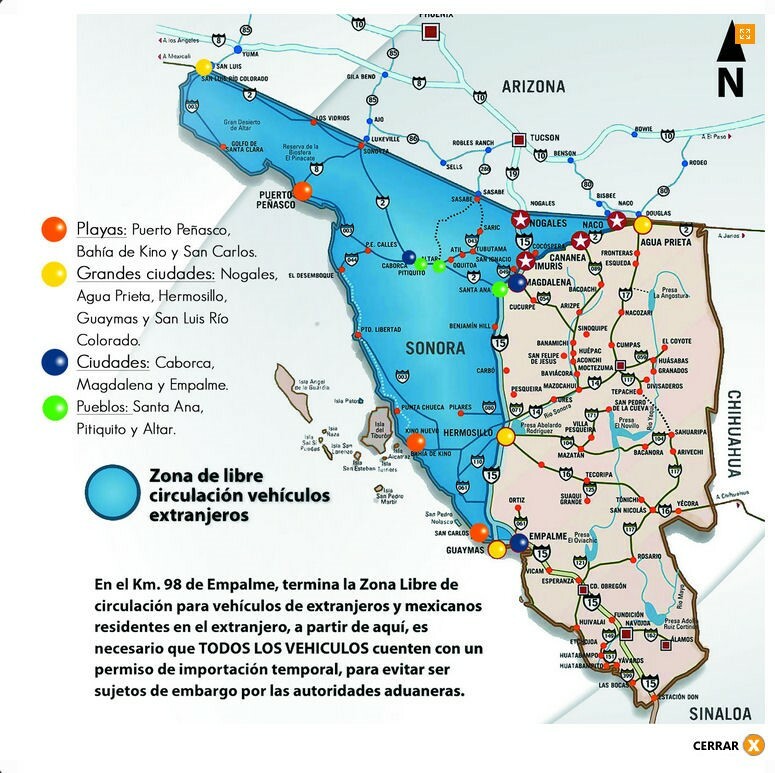 The rules differ depending on where you plan to drive in Mexico; some zones (1&2) no permit while travelling to Senora or mainland Mexico. Outside of zones 1&2 will require a temporary import permit. Or online (the permit is sent by post and may take up to 7 business days). You may request your permit 7 to 60 days prior to entering Mexico by vehicle. Once the payment has been accepted, they will send the permit to your address within 7 business days. Through courier service to the following address: Av. Industria Militar 1055, Col. Lomas de Sotelo, Del. Miguel Hidalgo, México, D.F., CP. 11200. Delivering them in person to any Banjercito office. You may ONLY request a permit for a vehicle that is registered to your name or that of your spouse, your children, or your parents. You may NOT request a permit for a vehicle weighing more than 3.5 metric tons (7,716 lbs). The permit costs just under $50 USD. You will also have to provide the refundable deposit detailed below. You can pay by credit card or cash. Don’t forget to go to the Banjercito office for your deposit refund! !